Pemetrexed is a chemotherapy drug marketed and manufactured by the Eli Lilly Company. 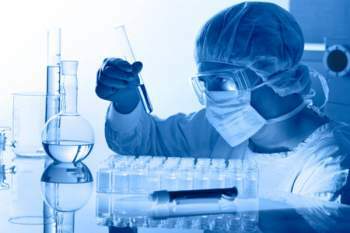 The drug is primarily used to combat Pleural Mesothelioma cancer and other forms of non-small cell lung cancers. The molecular body of Pemetrexed was developed by Edward Taylor at Princeton University. 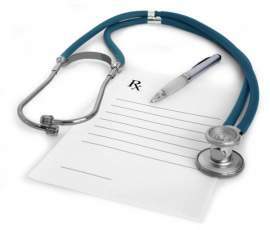 The drug was clinically developed by Eli Lilly and Company in 2004. The drug is used for the treatment of breast cancer, mesothelioma cancer, pancreatic cancer, non-small cell lung cancers, malignant mesothelioma and colon cancer. Pemetrexed is chemically constructed like folic acid; the drug is classified as a folate antimetabolite chemotherapy drug. The drug works by inhibiting three enzymes utilized in pyrimidine and purine synthesis (thymidylate synthase, glycinamide ribonucloetide formyltransferase and dihydrofolate reductase). By inhibiting the formation of pyrimidine nucleotides and precursor purines, Pemetrexed prevents the formation of RNA and DNA, which are both required for the survival and growth of both cancer cells and normal cells. In the winter of 2004, the United States Food and Drug Administration approved Pemetrexed for treatment of malignant pleural mesothelioma cancer—a type of cancerous tumor that is located in the lining of the lungs. The FDA approved Pemetrexed to fight malignant mesothelioma only as a combined effort with cisplatin. In September of 2008, The Food and Drug Administration approved Pemetrexed as a first-line treatment—once again only in conjunction with cisplatin—to combat locally-advanced and metastatic non-small cell lung cancers for patients with non-squamous histology. A clinical phase III study revealed benefits of maintenance use of Pemetrexed for non-squamos patients. 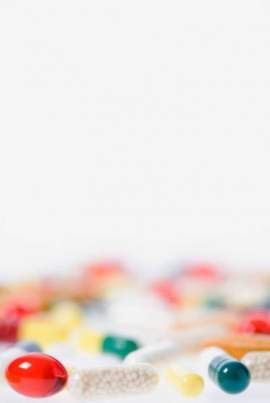 Currently, the drug is undergoing clinical trials to be used against esophagus cancer and other diseases the mouth area. Pemetrexed is recommended in conjunction with carboplatin for a first-line treatment method of advanced forms of non-small cell lung cancers. That being said, the efficacy or toxicity of Pemetrexed with cisplatin compared to Pemetrexed with carboplatin has yet to be established beyond what is typically though about carboplatin or cisplatin drug therapy. • Patient will experience decreased blood cell counts, as documented by a Complete Blood Count. • Patient will experience Sleepiness and Mental fatigue. These side effects may be reduced through an Off-label prescription of Provigil. • Low white blood cells, which give you a greater chance of developing an infection. If this mesothelioma treatment gives way to a fever above 100.4 degrees you must call your doctor immediately. • Pemetrexed decreases your red blood cell count. Low red blood cells will make you get tired easily, make you appear pale and decrease your stamina. When Pemetrexed is applied through an IV or orally the drug is commonly referred to by its Trademark name—ALIMTA; both forms of the drug are used to treat malignant pleural mesothelioma cancer. This disease, which affects the inside lining of the chest cavity, is mitigated when ALIMTA is combined with cisplatin—an anti-cancer medicine that is applied when extraction surgery is not an option. 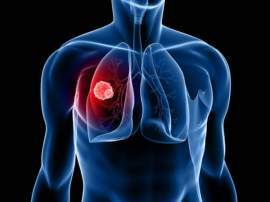 Pleural mesothelioma cancer is a rare disease that forms from the transformation of cells in the abdominal cavity, the chest cavity and the cavity surrounding your heart. These cells protect your organs by producing a lubricating fluid that enables your organs to freely move around. For instance, these fluids make it easier for your lungs to move inside your chest during everyday breathing. The tissues formed by the aforementioned cells are referred to as the mesothelium. Malignant tumors of the mesothelium give way to mesothelioma cancer. Approximately 3 out of every 4 mesothelioma patients have their infection start in their chest cavity (known as pleural mesothelioma). 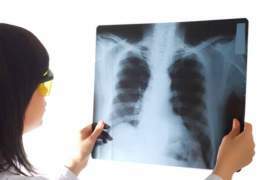 The primary risk associated with the development of pleural mesothelioma is asbestos exposure. Malignant mesothelioma, in all cases, is rare, with an estimated 2,000 to 3,000 new cases developing each year in the states. Mesothelioma incidences; however, have slowly decreased since the early 1990s. This decrease is widely due to increased safety efforts taken by companies and state governments to limit asbestos exposure. More than 50% of mesothelioma patients have pain in the side of their lower back or chest. The majority of mesothelioma patients will report shortness of breath, while fewer will exhibit weight loss, cough, fever, sweating, trouble swallowing, explosive diarrhea and fatigue. Other symptoms associated with malignant mesothelioma cancer include: swelling of the face and arms, muscle weakness and hoarseness. The majority of mesothelioma patients will exhibit symptoms a few months before they are formally diagnosed. If you have ever been exposed to asbestos and have these symptoms, you must see a medical professional as soon as possible.